RENT your holiday villa or BUY your seafront property in Croatia! LuxuryCroatia.net is Real Estate Agency that has 10 years of experience in sale of all kind of Croatian real estates. 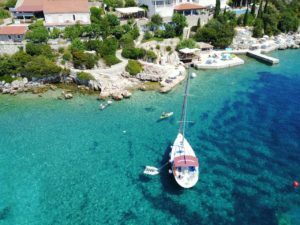 Our small but dedicated team of experts can search and find your adequate property, if you can’t find it in our listings of more than 1500 Croatian properties for sale. 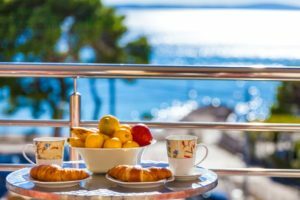 We are locals, Croatians, with experience in sales of properties and have visited all Croatian coastal and island destinations and locations, so that we can help you with advice about amenities of location that is of your interest. We know every inch of our country, every village, bay, island, we are proud of Croatian rich heritage and history. 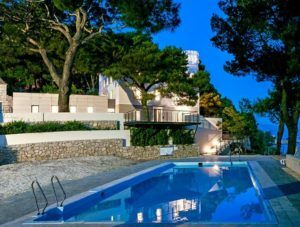 In our offer of Croatian villas for rent we have more than 550 best Croatian holiday villas in Dubrovnik, Split, Hvar, Brac, Korcula, Istria, Primosten, Cavtat, Solta, Orebic, Zadar, and in many other beautiful Croatian destinations. 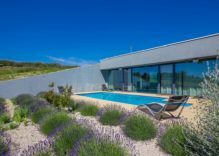 Our portfolio includes mostly luxury seafront villas with pool for rent Croatia but also classic and modern villas, houses and stone cottages in middle price range, with pool, sea view and mostly located at walk distance to the sea. Also in our offer you can find exclusive properties such as renovated luxury castles with pool on the waterfront, large family villas that can accommodate 15 persons or more, hidden villas in small bays with crystal clear sea water, on the distant islands, we even rent entire islands with lighthouse villa with pool on it, with breakfast served every morning by boat. We shall do what it takes to make your holidays memorable and pleasant experience, from organizing your romantic or adrenaline daily trips, excursions to the islands or waterfalls, boat trips, wild terrain rides, culinary experiences, historic tours… we are sure that after your first visit to Croatia, you will come back again and again… even the experts from Conde Nast Traveler predict that Croatia is one of the most desirable holiday destinations for next summer season. LuxuryCroatia.net team is real estate broker with 10 years of experience in real estate sales in Croatia. Our team will guide you through the buying procedure, give you all relevant advice and successfully complete your process of purchase. We provide you with complete information and instructions about way to buy property in Croatia. 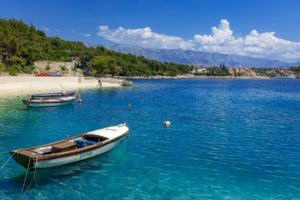 There are some small differences in purchase procedure in Croatia compared to other EU countries, and we are here to inform you and guide you through all the process. Testimonials of our happy clients speak about our work. Most of information in case you plan to buy property in Croatia, you will find on this website. 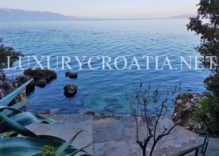 If you need any additional information please contact us to provide more details, we’ll be happy to reply within few hours (please make sure to check your spam folder as sometimes our reply end up in spam folder though we do not send any bulk emails and we use our authentic domain name LuxuryCroatia.net). 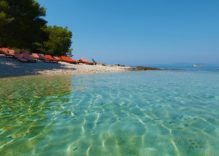 We are specialised in coastal region and islands of Dalmatia where we have most of our properties for sale. 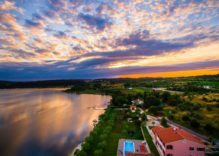 LuxuryCroatia.net as one of leading Croatian Real Estate Agencies have great experience and knowledge in real estate sales, boasts with exceptional customer care, guiding buyers through the buying procedures. Feel free to give us a call or send us an email, we are pleased to answer all your property questions! Our team is at your service even on weekends, 365 days a year, offering an impeccable service whilst sharing specialist knowledge and expertise of the Croatian real estate market. Let us find the perfect real estate / property for you! 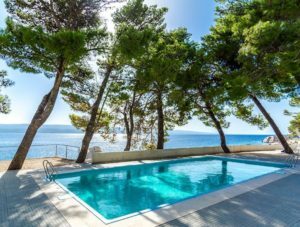 We have an unparalleled offer with more than 1500 listed properties for sale in Croatia on the sea (seafront houses, seaview apartments, luxury villas, land plots, hotels, islands, castles) for sale on the coastline and islands of Croatian Adriatic, from Istria to Dalmatia. We have knowledge and experience, we are among the best Croatian real estate brokers. 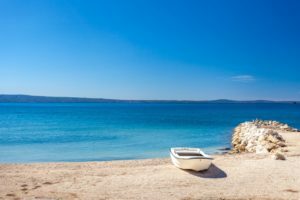 LuxuryCroatia.net as one of leading Croatian Tourist Agencies specialized in holiday villas rent, have extraordinary collection of the most luxury Croatian holiday villas for rent. We are ready to find your best rental option. Our services include also your wildest wishes as helicopter ride to explore wild and untouched beaches, renting a chef of the cuisine for your romantic evening in the seafront villa or castle, organizing daily excursions to the islands, waterfalls, rafting, horseback riding, wine tasting, organizing wedding party in the beach front villa with fireworks, relaxing massage on the beach in front of your holiday villa, spa and beauty treatments in villa, yoga classes just for you, your personal guide, transfer by yacht to the villa, maid service daily, yacht rental, limo rental or car rental services, concierge or any other activity to make your vacation in Croatia memorable and joyful experience… just name your wish! Lately there has been increase in number of frauds, illegal tourist rental agents/agencies who are using all possible means to cheat and trick the guests when booking villas, so we described how you can recognize those to help you keep away from such fraudulent persons or websites, in our section: Important – how to BOOK your villa and be sure it is not fraud! LuxuryCroatia.net offers services of property management. Also we can rent your property as holiday house for tourist, this way gaining you extra income. We’ll help you with obtaining rental license, or any other permits or documents related to your property. We are experienced in Property Management, managing bookings for villas and houses in area of middle Dalmatia. For other location, we shall recommend reliable Property Management Company. What we can do for you, please read at Property Management Services section and Property Rental Services. Also if you buy to rent in Croatia, be sure to contact us, as we are tourist rental agency, experts in renting of holiday homes, villas, houses, cottages, apartments on Croatian Adriatic Coast and Islands, and will manage your bookings in professional way with 8 years experience. Our services related to renting your property are listed at Renting Your Croatian Property section. We have also professional photographer with Art Academy Diploma. Have a look at our portfolio of more than 500 Croatian holiday villas for rent. We have experienced team of respected and successful architects, civil engineers, contractors and construction firms, who will design and construct your house or building according to your ideas. We’ll be assisting you in managing your project from the first day to the very end. Please read more in our services section Home Building and Renovation.